Alessandria is a town of almost 100,000 inhabitants and is the third largest in the Piedmonte region after Turin and Novara. Well located within the industrial triangle of Turin, Milan and Genoa, and only 100km from each city, all main motorways and railways pass through Alessandria. The community is in good health with the highest employment rate of the whole of Piemonte (95%). 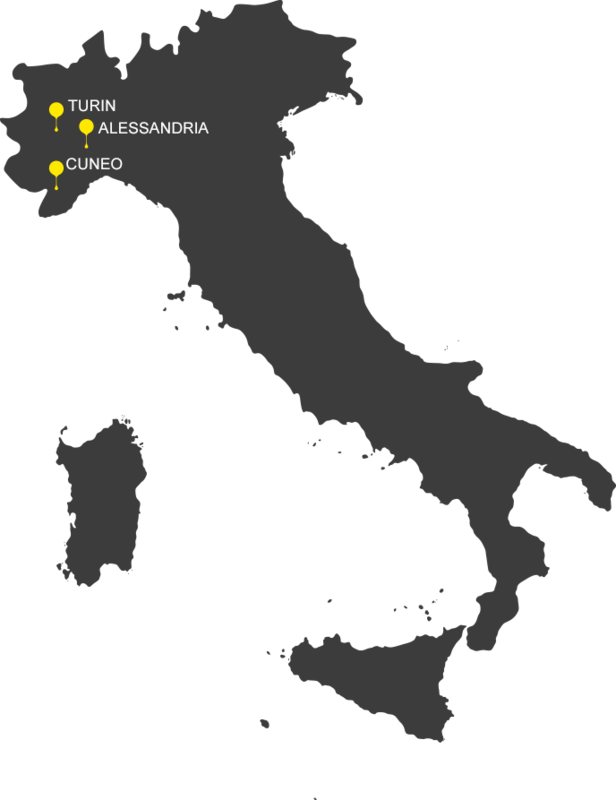 Existing industries include engineering and food production, and the proximity to Genoa has enticed many logistics companies to establish sites here, and investments in this domain will only continue to increase in the years to come. Although Cuneo is a small town of only 55,000 people it is the capital of a large and important district of some half a million inhabitants. Close to the sea and surrounded by mountains, this area is not only beautiful but also one of the wealthiest areas in Italy and many different commodities are produced here. The affluence comes from the large number of small and medium sized businesses which cover many sectors. The local people are renowned for being hard working and the presence of agriculture and wine production is very strong. The Cuneo district is home to several continental and global leaders and many multinationals have opted to build factories here. Employment is above the national average and the area has a strong engineering base. The first capital of Italy, this city of one million inhabitants is well known throughout the world as the headquarters of the giant car manufacturer FIAT. For many years the car industry along with allied industries has been the most important employment sector for the city, but this is slowly changing. Nevertheless many of the university’s graduates still specialise in automotive, and competence is very high. Times are changing, however and in 2006 Turin was the home of the Winter Olympic games followed by other important events has transformed Turin into a centre for tourism. The proximity to France and Switzerland along with an international airport and quality food and architecture makes Turin an attractive place to visit. Click here to go to the Michelin Development in Italy website.